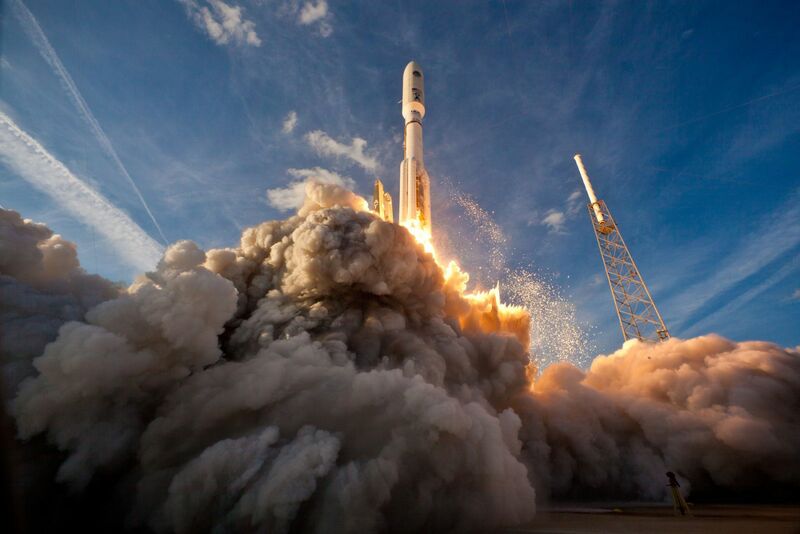 CAPE CANAVERAL, Fla. — United Launch Alliance announced on Friday, April 8, that the flight of the fifth and final Mobile User Objective System satellite (MUOS-5) would be delayed from May 12 until an unspecified time. This latest slip was caused by an in-flight anomaly encountered in the first stage of the Atlas V 401 rocket that launched the OA-6 Cygnus spacecraft on its way to the International Space Station on March 22, 2016. The Atlas V MUOS-5 launch is delayed and indefinite on the Eastern Range due to ongoing evaluation of the first stage anomaly experienced during the OA-6 mission. ULA successfully delivered the OA-6 Cygnus spacecraft to the International Space Station (ISS) on March 22. The MUOS-5 spacecraft and launch vehicle are secure at their processing facilities. As was noted, the S.S. Rick Husband Cygnus spacecraft reached the ISS as planned with no issues. In order to gain a better understanding of what had happened during the flight, where the Atlas V booster’s first stage engine shut down about 6 seconds earlier than planned, Colorado-based ULA pushed the MUOS-5 mission from May 5 to May 12. During the March 22 flight, the OA-6 mission was salvaged by having the Atlas V’s Centaur upper stage burn for about a minute longer than the 14 minutes that it had been scheduled to be active for. The Centaur uses a single Aerojet Rocketdyne RL10C-1 engine. At present, there are as many as nine Atlas V launches that are scheduled for the remainder of 2016. It is unclear what impact this issue will have on the rest of this year’s manifest. Would really like to understand how such a well-tried booster as the Atlas V can “get the mixture wrong” and run out of oxidizer before the fuel is used up. Sounds more like a British sports car.